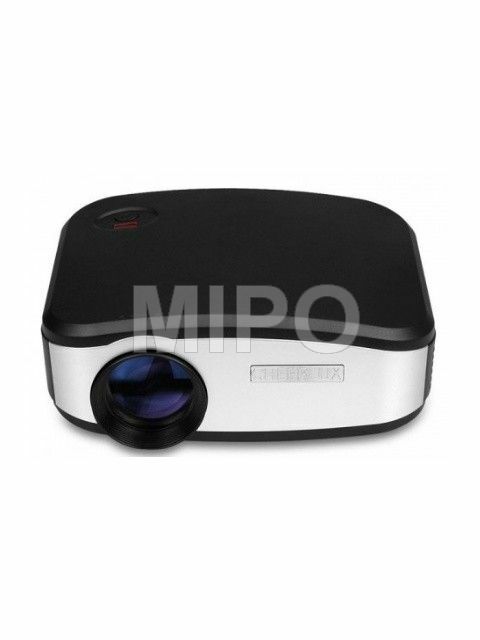 Mini LED Projector C6 with built-in TV. - 1200LM with 1200:1 contrast ratio for clear, sharp and long-lasting reliable picture quality and superior color performance. 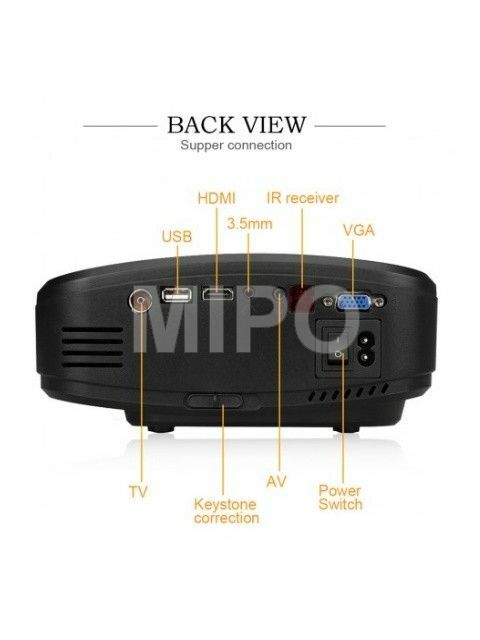 - Increase multiple ports, including AV, HDMI, VGA, USB 2.0 and earphone output, directly playing TF card and USB disk files. 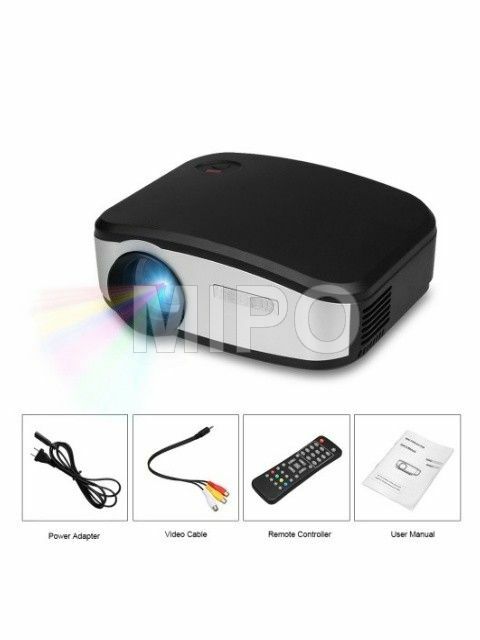 - With native resolution to be 800 x 480 pixels and the highest resolution support 1080P to make it more clearer. More details, less fuzzy. - Picture switch from 16:9 and 4:3 to meet your different demands. - Manual focus adjusting get picture from 50 to 120 inches, and the distance of projection is from 1.5 to 3.4 meters. - IR remote control supported. - The remote controller is powered by 2 x AAA battery ( not included ). - Picture formats : JPG, BMP, PNG, etc. - Audio formats : MP3, WMA, M4A, etc.